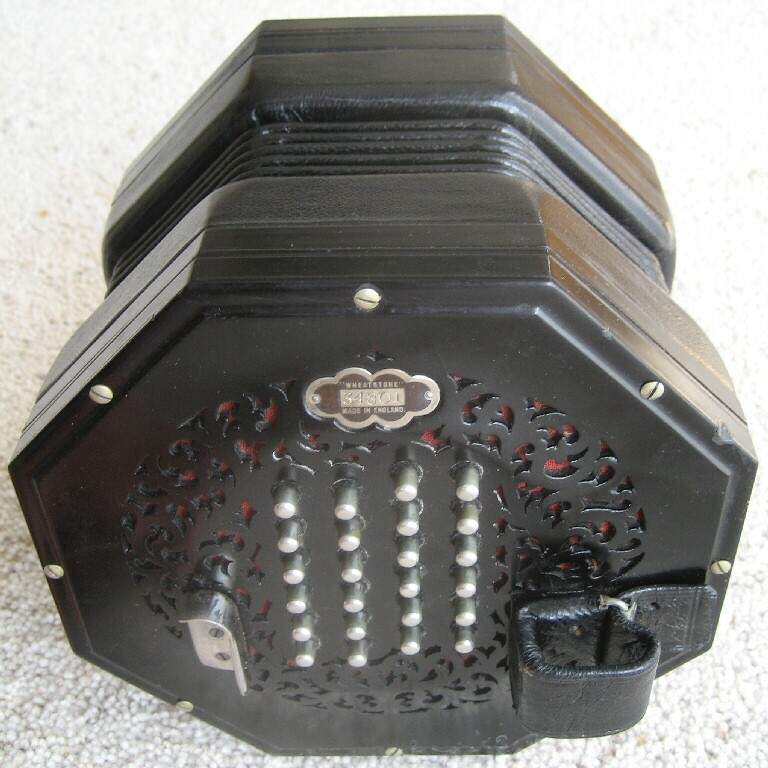 My Wheatstone Aeola concertina is 8-sided and black, with 48 metal keys. Most concertinas are six-sided, but this is Wheatstone's up-market model! The ends are black wood fretwork. 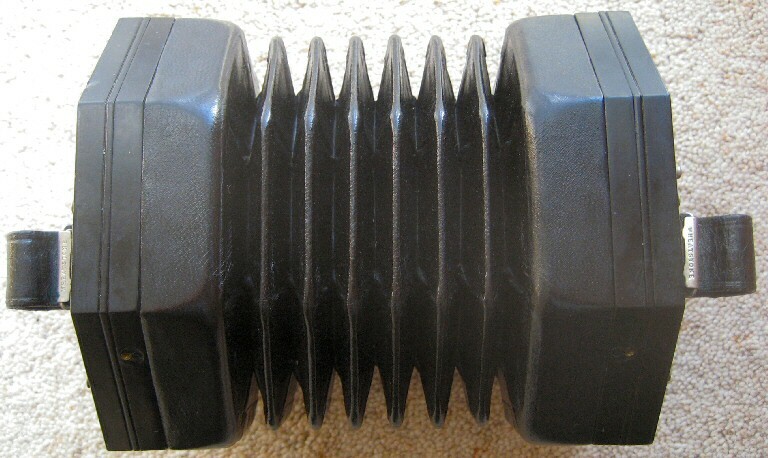 The bellows are black. 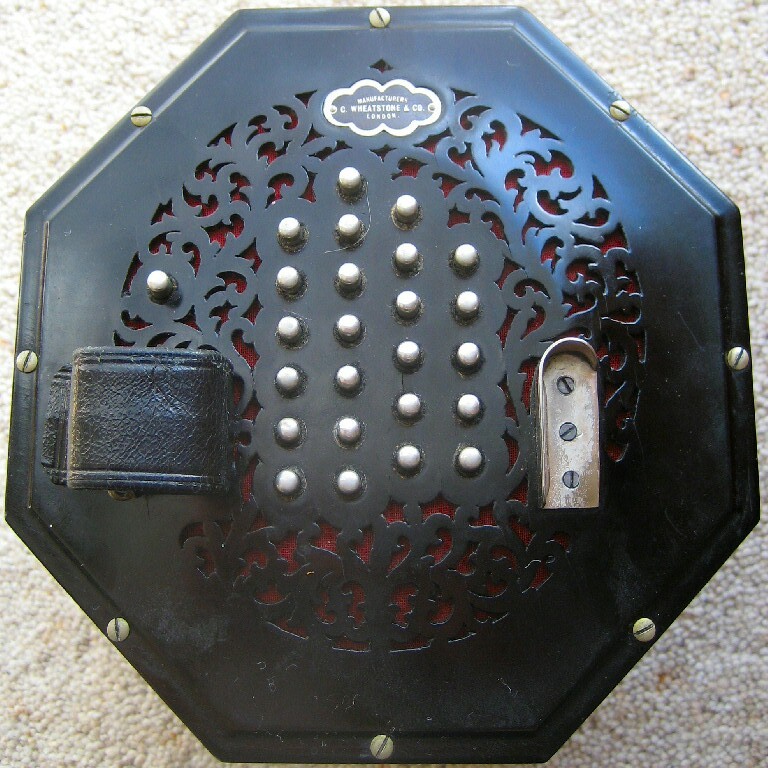 One one end, in an oval chased into the fretwork can be read "Manufacturers C Wheatstone and Co, London". At the other end is a serial number, 34801. On the thumb strap buckle it says "WHEATSTONE". The Horniman records show it as leaving the Wheatstone factory on 31st December 1937. It is in good condition, and all notes play cleanly. It is accurately in tune with itself and is in concert pitch. 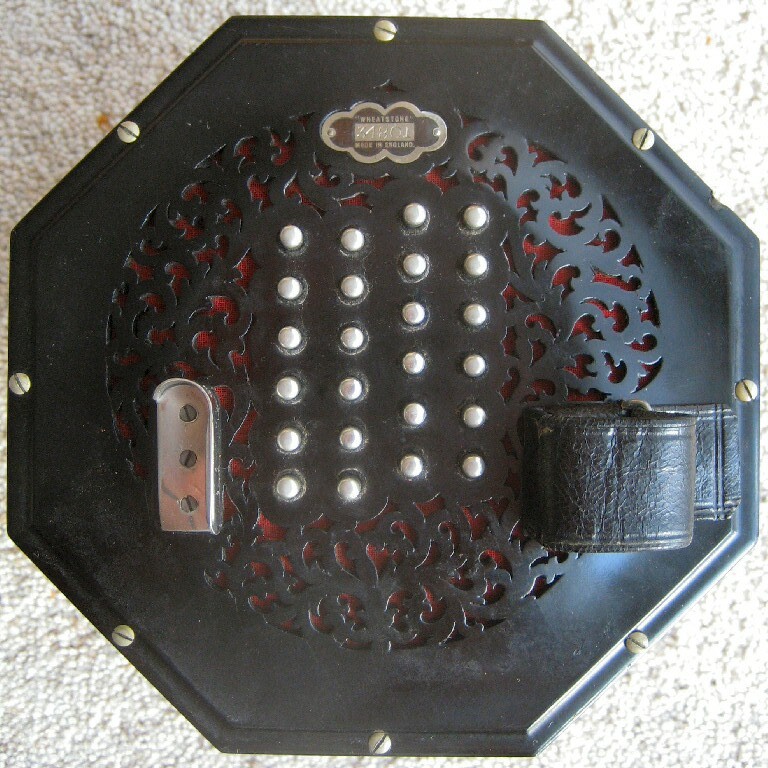 It has its original leather box. The instrument was bought from Alan Jones (near Chippenham) on 30th January 2007, for £1650. In the box was a typed concert agenda from 1938, a card in the name of "Miss G. M. Griffin, Turnpike Cottage, Hereford Road, Monmouth", and label giving the Maker's name, serial number and a model number of 17.